WINX isn't among the entries but nearly every other big name in Australian racing is lining up at Royal Randwick on Saturday. The headline act is The Autumn Sun, the crack colt with the $50 million price tag chasing his fourth Group 1 win in the Group 1 $1 million Randwick Guineas (1600m). His rivals are likely to include Nakeeta Jane, a Group 1 winner of the Surround Stakes last Saturday, who is striving to become only the second filly to win the Randwick Guineas after Mosheen in 2012. But The Autumn Sun, regarded as the heir apparent to Winx as the nation's best racehorse, has such a huge reputation he is the $1.50 favourite with Ladbrokes..
Trainer Chris Waller said late last week that The Autumn Sun had no problems coping with an exacting first-up run in soft track conditions to win the Hobartville Stakes. Winx aside, Waller is usually very conservative when asked to comment on the horses he trains but he makes a rare exception with The Autumn Sun. "If anything, I've got a point to prove to people - to show he's sharper than what people think," Waller said. "He's just like Winx. You put him in a high-pressure race over 1200m, he'll be delivering. He's got that much speed and it's sitting there waiting to be unleashed under pressure. "Being a laid-back horse, you're not going to see it until the pressure goes on. The other Group 1 race on Saturday, the $500,000 Canterbury Stakes (1300m) is a contender for race of the day as it features some of the best four-year-olds of their generation, Trapeze Artist, Kementari, Pierata and Shoals. 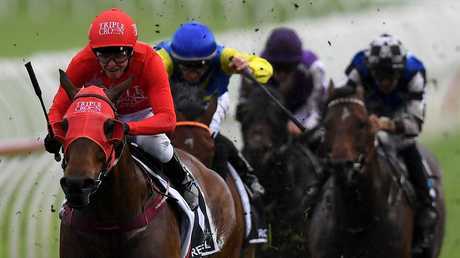 Dual Everest winner Redzel can add to his mountainous $15.3 million prizemoney haul in the Group 2 $500,000 Challenge Stakes (1000m) where his opposition will include the brilliant Estijaab, winner of last year's Golden Slipper. 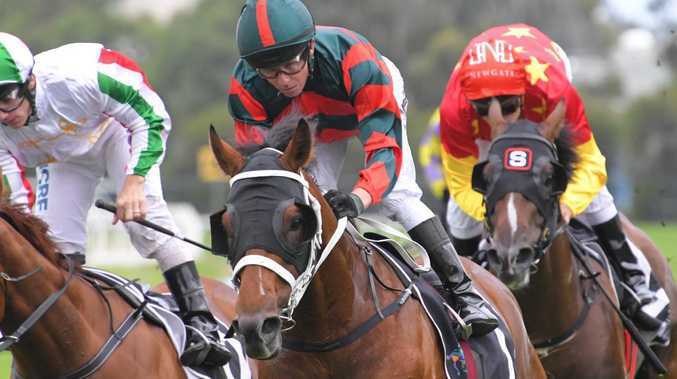 The two-year-olds get one of their last opportunities to qualify for the $3.5 million Golden Slipper (1200m) on March 23 with the Todman Stakes and Reisling Stakes, two Group 2 races over 1200m worth $300,000 each. Silver Slipper winner Time to Reign is hot favourite for the Todman Stakes while Magic Millions winner Exhilarates is back in the Reisling Stakes.